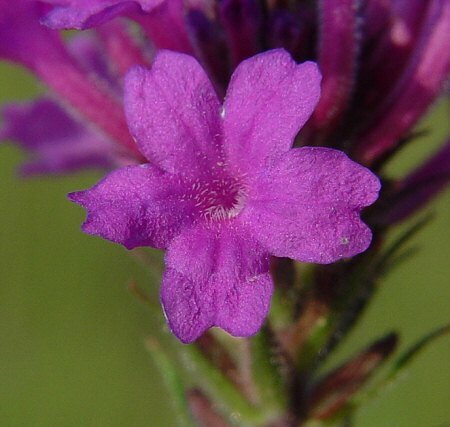 Habitat - Disturbed sites, pastures, roadsides, waste places. 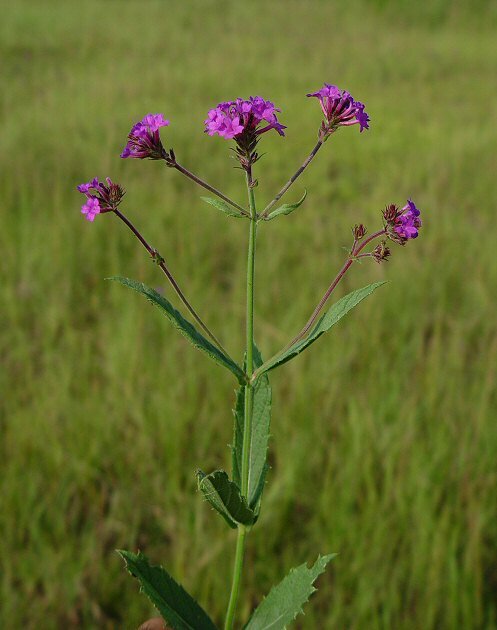 Other information - This attractive yet weedy species can be found mainly in the southern half of Alabama. 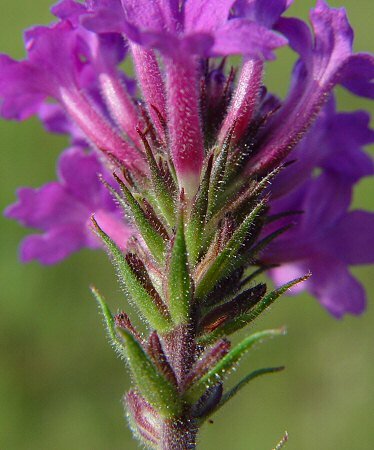 The plant is easy to identify becasue of its brilliant purple flowers, hairy stems, sessile leaves, and long stolons. 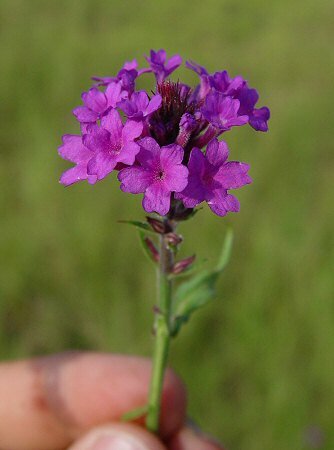 The genus name Verbena is of an obscure derivation but is used to describe any plant used as a healing or sacred herb. 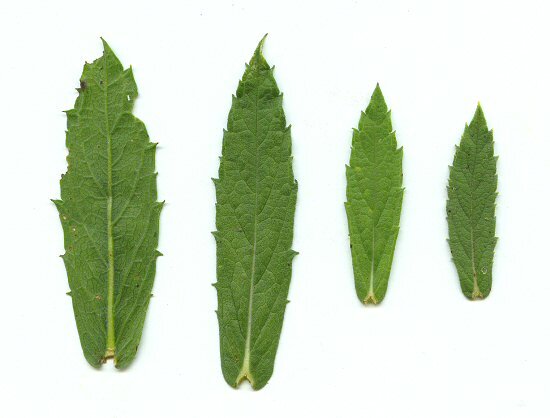 The stems of Verbenas were made into wreaths for ritual and healing. 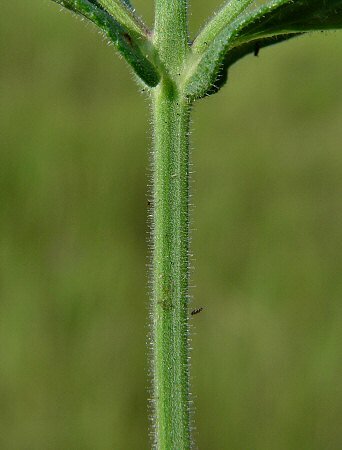 The species epithet rigida derives from the Latin "rig(id)" meaning "stiff, harsh" probably referring to the erect stems. Photographs taken off Lee Rd 10, Lee County, AL., 8-27-04.